I have deleted some of the photo links on my posts due to them not working. I have no idea why not. It greatly detracts from the information when we are unable to add links to photos. Is it Photobucket or this site that removes or deletes the links??? Might be Photobucket - as it has changed some of the ways it links pictures - I know I had to refresh some links as the links returned no image or a message that the link was invalid. Just go to the Photobucket site - click the generate links for email/forums checkbox and compare if the links have changed. As for the forum - this site doesn't support the IMG tags, have to just put a link to the image. It may be bothersome to some viewers - but it also keeps bandwidth in check and allows for quicker loading pages. It is strange, since some photos are still working, while others are not. Photobucket stinks. I switched to www.ovi.com and like it much better. Free site, no pic size limit, huge 150mb per month upload limit, and more user friendly over all to use and never have pics x'd out as with photobucket. Try it you'll like it. I hate my photo links not working with photobucket. 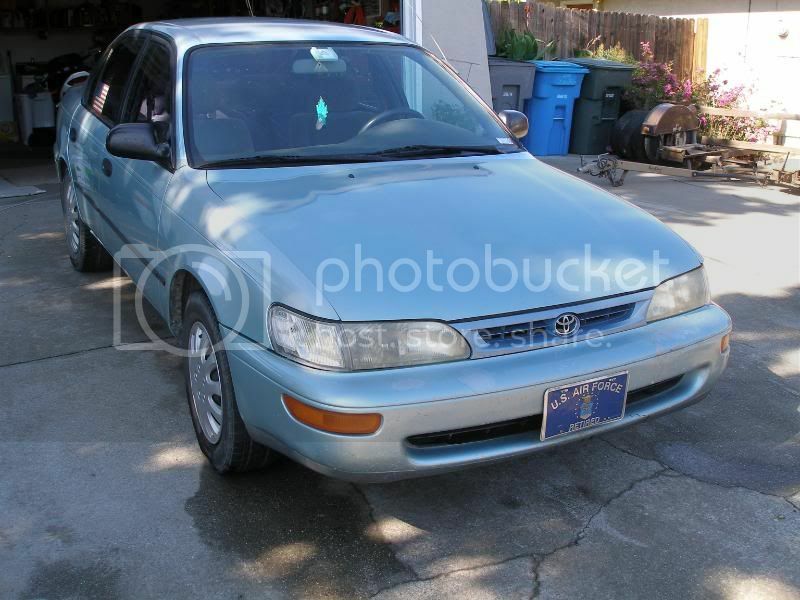 Its the site I use in my siggy for my corolla. I use it to store all my desktop pics too. Best pic site Ive found yet and Ive researched a ton of them so I know you'll like it too. I should try to add a pic to my siggy. It wont let you show a pic in your siggy here like toyotanation does but you can post the link to your pic as I have done though. You can post a pic in your profile like Ive done so people will see it when they view your profile. Ok - I will have to post a link to my picture on my signature. Had any luck with the site yet? Anything you dont like about it? To me the main downside to it is not having forums like some others do but thats really no big deal. Just trying to replace the links that don't work, with ones that do. I changed my signature block and included a link to a picture of my car. That works. I see you were in the air force, what did you fly? Btw if your siggy ever gets too long to accept a long link like that to where it wont post it, or you just want it shorter, then you can shorten the pic link with tinyurl.com so everything will fit in your siggy. Once on their site just paste the long url link there and it will create a short link for it. So instead of showing something like http://i66.photobucket.com/albums/h256/Bik...0G/P7200579.jpg it will show something like http://tinyurl.com/3c2e7u. I was in MAC/AMC and flew on all kinds of cargo planes. I started on B-52's and KC-135's, then went to C-141's and KC-10's. Finally I went to C-17's. I have also flown C-130's. Nice to know about the shortened link. It is a link to a link - neat idea.